From late 1996 to early 2007 I was medical director of a low-fee mental health clinic where psychiatry residents and psychology interns receive training. Since the clinic accepted Medicare for payment, I did as well. I signed on as a Medicare “preferred provider” and have remained on the panel ever since, even though I left the clinic for full-time private practice nearly seven years ago. I never joined private insurance panels for several reasons. As an inveterate do-it-yourselfer, I’ve always handled my own billing and bookkeeping. This is considerably harder when multiple health plans are billed, co-payments collected, and so on. I like the straightforward way I provide a service, and the person receiving the service pays me directly. Somehow it feels more honest than contracting with health plans to funnel referrals my way. Private health plans also pay less than usual-and-customary fees and require doctors to share patients’ private details with corporate reviewers to document “medical necessity.” Moreover, since dynamic psychotherapy has always been a big part of my practice — increasingly so over time — I’m sensitive to arguments that third-party payment complicates transference and countertransference, obscures acting-out around payment, and detrimentally takes payment out of the treatment frame. Last but not least, as I’ll discuss mainly in my next post, insurers base reimbursement on a medical model that fits poorly with dynamic work. 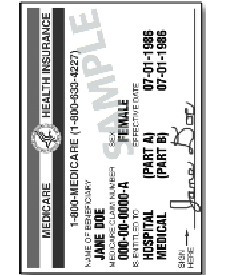 The upshot is that I have a cash-only (or “self pay”) practice, with the exception of my Medicare patients. Until this year, Medicare “allowed” 65% or so of my full fee. (Medicare sets an allowed fee for a given service, and then pays 50-80% of that. I can collect the rest, up to the allowed amount, from a secondary insurer or from the patient. This works more or less automatically for secondary insurers, and rather awkwardly when I try to collect from patients.) In 2013 the CPT codes for psychiatric office visits were revamped. This made billing more complicated, and introduced odd, often illogical variations in Medicare and private insurance reimbursement — sometimes paying more than before, sometimes less. As one of the few private-practice, office-based psychiatrists in San Francisco still on the Medicare panel, I’ve become a magnet for these patients. A local medical center with which I have no affiliation used to refer several callers to me every week, until I sent a letter asking them to please not kill me with their kindness. Medicare callers request to see me for medications only, even after I explain this is not the nature of my practice. It’s more tricky when patients claim to want therapy to get a foot in the door, and then once in my office and now my medico-legal responsibility, confess that they only wanted medication refills all along. Some callers ask to be added to a non-existent waiting list, or to call me every month or two to see if I change my mind about accepting them as patients. Clearly, the demand is there, the economic incentive is not. Upcoding and downcoding in such cases is not criminal mischief, but an attempt to fit traditional, mainstream psychiatry into a procrustean bed of medical-model diagnosis and procedure coding. Public and private insurers alike sacrifice ecological validity for documentation that appears, but really isn’t, “evidence based.” To take one example, as of this year we must code medication “evaluation and management” separately from the provision of psychotherapy, even if in practice these are done simultaneously and inseparably. A 50-minute psychotherapy session (90836) that includes brief attention to medication (99212) is reimbursed at a much lower rate than the same 50-minute session with more time devoted to meds (99213 or 99214). This makes little sense when in many cases the psychotherapy is far more clinically significant than the medications being discussed. (You’ll note that I think of the psychotherapy code first, but actually it is an add-on to the primary medication “E & M” code.) If medications are not mentioned or evaluated at all, there is yet another code to use for psychotherapy (90834), with an “allowed fee” of $89 for 50 minutes, well below what any psychiatrist or psychologist actually charges. If this isn’t bewildering enough, some of my colleagues are now doing 52-minute sessions, an insignificant increase in duration that qualifies for a different code with much higher reimbursement. Since cash-only practice excludes all but the affluent, I view my taking Medicare as a modest concession to avoid elitism. I also support a single-payer health care system, also known as “Medicare for all,” so participating in Medicare feels like practicing what I preach. At the same time, it’s easy to see why most of my office-based colleagues opt out of Medicare: lower pay for more paperwork, rules that don’t make sense, and various factors that make dynamic psychotherapy harder to conduct and be paid for. So far I still answer yes, albeit hesitantly, when asked whether I take Medicare. In my next post I’ll expand these ideas into private insurance for outpatient psychiatry, including whether dynamic psychotherapy resembles a medical intervention enough to fit a “medical necessity” model. I’m sorry you feel the need to comment with both guns blazing. Jeff Lieberman (current president of the American Psychiatric Association) says lots of absurd things, this included. But let’s not critique Dr. Lieberman, as it really doesn’t matter where this peculiar “brilliant fiction” idea comes from. Unconscious dynamics are so obvious in everyday life that many terms from psychoanalysis and dynamic therapy entered the vernacular long ago. Untrained people realize projection when they hear it, recognize denial and reaction formation, and explain the personalities of themselves and acquaintances using psychodynamic concepts. If it’s a fiction, it’s certainly brilliant, as nearly everyone is being duped, most likely for want of a better account of human behavior and emotions. Aside from this, and in contrast to what most cognitivists and behaviorists believe, there is plenty of empirical evidence in support of dynamic psychotherapy as an effective treatment. The meta-analyses reviewed by Shedler (2010) have been debated endlessly on methodological grounds, but there’s little debate over the empirical validation of time-limited dynamic therapy (which is easier to study, like manualized cognitive approaches). And public surveys, such as that conducted by Consumer Reports in 1994 (good discussion here), also offer empirical validation of psychotherapy of all types, including the open-ended dynamic variety. If it’s any consolation, my next post essentially agrees with you that the current mental health system is “sick.” It demands “medical necessity” to treat human misery that in a great many cases isn’t medical at all. Am I supporting and enabling this system by accepting Medicare? That’s a good question, one that I’ll try to address. “An effective treatment?” Of what? Malignant melanoma? Congestive heart failure? A theory that explains everything explains nothing. But I misspoke. I agree that psychotherapy is effective in treating some disorders, but not because of some mythical “unconscious mind,” evidence for which is lacking. I also believe that almost all physicians might do well to apply limited psychotherapy skills, regardless of what they treat. Really, now you’re just being contrary. Shedler’s review is a good starting point for what dynamic psychotherapy “effectively treats,” and there’s plenty more literature where that came from. No one in decades has suggested that psychodynamics explains “everything” — not malignant melanoma, not congestive heart failure, and not schizophrenia, bipolar disorder, severe melancholic depression, or autism either. Evidence for “unconscious mind” is plentiful, from the many empirical studies on implicit memory and the cognitive unconscious, to everyday evidence of defense mechanisms such as the projection, denial, and reaction formation I mentioned above. Of course, there’s also a huge number of published psychoanalytic case reports, which I suspect you don’t count as evidence, as well as the personal experience of many thousands of patients. I do appreciate your acknowledgment that psychotherapy offers relief to some patients in emotional distress, and even has something to offer in other treatment settings. That has certainly been my experience. The evidence for the existence of an unconscious mind is as plentiful as evidence for God or for epicycles. The problem of reimbursement for psychotherapy based on any model: The patient gets whatever brand the psychiatrist knows, rather than what might be most effective. The psychotherapy too often is a mandatory, whether-it’s-needed-or-not, add on to whatever other treatment is provided (except perhaps with ECT, fortunately). Much psychotherapy time just helps the psychiatrist fill the schedule and give them adequate time to monitor symptoms and cover administrative matters. I won’t bother to cite the literature on implicit memory and the cognitive unconscious; it’s there if you want to look it up. Your criticism that patients get whatever the psychiatrist has to offer, and not what is most effective, is unfortunately quite valid. I see it happening at least as often with psychopharmacologists who are trying the 6th ineffective antidepressant as with psychotherapists, MD or not, who never consider biological causes. (And with partisans of either psychodynamics or CBT who refuse to refer to the other type of therapist.) I believe psychiatrists who offer medications and/or psychotherapy are in a better position to avoid this trap than those who limit themselves to one kind of practice out of fear of becoming a “spork.” The trick is not to throw away tools, it’s to use them honestly and wisely. Psychotherapy “whether it’s needed or not” is malpractice, I hope we can agree on that. Please see this post where I critique the practice of chatting for 45 minutes and billing it as psychotherapy. So we agree on much, but literature includes fiction, brilliant and otherwise. I recommend Jaspers and his distinction between meaningful connections and causal connections. Every time I call Medicare someone gives me a different answer to the same question. My claims have been denied since January because: the provider used the wrong CPT code; the diagnosis changed; the service (of psychotherapy?) is not covered; you have to see a preferred Medicare provider; you submitted the claim incorrectly… did I mention the service is not covered? Apparently, Medicare customer service reps (or whatever they are called) have not read the 2013 publication of _Medicare and You_. Nor do they realize CPT codes have changed and Medicare computer systems are apparently still burping up dinosaurs. To make matters worse, I have found the reps (with a couple of exceptions) to be complete idiots, although well-versed in sarcasm. I suppose it does not help that I quote the handbook to them and provide pertinent page numbers. I wonder if they will be replaced by robots soon, or if maybe they already *are* robots? I will give them this much–I imagine it is a stressful job all around. I don’t understand why this issue–denied claims and CPT coding disasters–are not making headlines. This is the U.S.: surely there must be law suits. I am a patient, though not patient with Medicare. Every patient’s request for reimbursement I have submitted since January 2013 has been denied. My appeals have been accepted, although I wait 6 months for each reimbursement. The reason I am able to see my private therapist is that I have Medicare and Medicare offers reimbursement directly to the patient (client?) via an official form, which would not even exist if there were no need for it. I have seen this therapist for 3 years. The first 2 years of claims for the exact same “Dynamic psychotherapy,” and with the exact same diagnosis as is current, presented no problem for Medicare. Now there is a big problem. I would say it is Medicare’s big problem, but this is not effectively true, as it is my problem. The only reason I can afford to see this therapist is that I am able to receive partial reimbursement of her fee. She is the best therapist I have ever had, and this is an effect not simply of her skill but of our partnership. I understand why you can agree that you get what the psychiatrist has to offer (she’s not a psychiatrist, but still.) I think it is also important to note the patient’s participation in making therapy work. It takes two. That being said, I understand why you can agree because… yeah, I’ve seen those kinds of therapists as well, which is why I have chosen to see someone else. The mental health system *is* sick. And health insurance businesses are sick. They unfortunately feed one another when they prey on those who need help. Is there any organization (of people) around the 2013 mental health claim Medicare problem? Is there nothing that can be done? Do I write a political representative, and then what do I say? I would think there would be outrage over this, especially from therapists who are not getting paid despite the near doubling of paperwork Medicare has require this past year. Or maybe they already know it is a lost cause, know enough not to waste even more energy trying to fight what maybe cannot be won–not by therapists, not by patients. The time commitment would certainly exceed even a 52-minute session. I don’t blame therapists for deciding to walk away–it is a self-care decision, as I see it. And I think it is in the interest of the patients (as well as the therapists) to take good care of themselves. I don’t know how many patients figure out how to submit their own claims with Medicare representative so unhelpful in providing random answers. I like your blog. I like the way you think through ideas. Thank you for this. I look forward to reading more. P.S. In terms of behavioral therapy, I wouldn’t knock it completely off the shelf. I don’t care much for CBT–so judgmental and snide–but I think ACT has a lot to offer. I put DBT closer to ACT than CBT, but I prefer ACT’s stories and metaphors (especially when illustrated with little cartoons) to Marsha Linehan’s awkward acronyms and bizarre sentence structures. I think Linehan should have hired Edward Gorey to illuminate her confounding syntax. He might also have been able to inform her in a way that she could hear that an acronym usually takes the first letter of each word represented within the acronym, not any letter that happens to be a part of a word phrase. Oh well. Thanks for writing, your comment made me smile several times (with you, not at you). I’ve had Medicare claims of several patients rejected for no discernible reason this past year. And if I’m reading the notices correctly from my Medicare intermediary, I’ll be docked a few percent of my reimbursement soon for submitting claims on paper instead of electronically, and for failing to participate in an arcane quality-assurance scheme called “PQRS.” If they’re trying to get doctors like me to opt-out of Medicare, they’re doing a pretty good job. I’m not aware of any organization opposing the 2013 changes in mental health claims. Couldn’t hurt to write your congressperson and describe the problems you’ve had. P.S. I don’t knock behavioral therapy at all, I just don’t practice it myself. I’ve referred many patients to psychotherapies I don’t provide myself: CBT, DBT, couples therapy, group therapy, etc. My field will show early signs of maturity when practitioners of one approach stop devaluing other approaches and their practitioners. Frankly, I can’t wait.